Staffa a sgancio rapido HOOK2 4 "/ 5". Ecoscandaglio Lowrance Hook 2 4x con trasduttore. 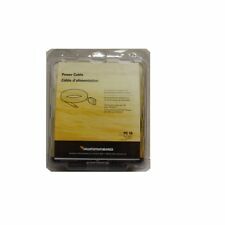 ECOSCANDAGLIO LOWRANCE HOOK 2 4X CON TRASDUTTORE. Tastierino ottimizzato con accesso con un tocco alle funzioni principali. Finding fish is easier than ever withGarmin STRIKER 4 Fish Finder. Smooth Scaling™ graphics provide uninterrupted imagery when switching between depth-range scales. Sonar history rewind allows you to scroll back through sonar images to mark waypoints you originally may have missed. Used Lowrance LMS-332C GPS Depth Finder With Power Cable and Transducer Only. Used Lowrance LMS-332C GPS Depth Finder With Power Cable and Transducer Only.. Condition is Used. I recently upgraded to a 7” screen with side-scan, but this little 332c unit served me will for several years. Good bottom reading and gets you where you want to go and back. Transducer and cable only 2 years old (previous one was caught up in a polisher during a spring commissioning). Unit functioned fine when I used it last. unit sold as is. This is a no reserve auction and payment is expected within 24 hours of the auction close and the item will ship the next business day after payment is received. Good luck and happy bidding. Face plate colors included: White and Black. HDR 650 In-Dash Digital Depthsounder. Easy to read large, backlit LCD display for use at night. 1.25" LCD Display. Reads in Feet. 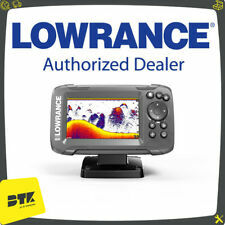 Lowrance Elite 7x hdi. -HDI transducer. -Lowrance screen cover. -RAM mount. Diese Geberstange für portable Echolotgeber ist komplett aus hoch stabilen Aluminium gefertig. Am Ende der Stange ist eine Kunststoffstopfen, der ein Durchrutschen verhindert. Diese Geberstange ist wohl eine der Besten in diesem Bereich. Humminbird PiranhaMax 215 Portable Fishfinder Dual Sonar Boat Scanning Equipment. Condition is Used. Purchased end of last season and was very excited with its response to boating on the water with its capabilities and identifying similar to having an metal detector this is an very amazing device that operates portable and handheld and gives you a deep diagnostics of up to 500 ft in the water! Still has the original box and paperwork was saved! It should go to a frequent boater for the amount of on the water we see it’s not worth it to hang on to such an advanced piece of equipment!! Enjoy fishing and diving with this little helper for many seasons from lakes/ oceans it is remarkable with the readings it gives ! Lowrance Elite 5 CHIRP. Condition is Used. Shipped with USPS Priority Mail. Lowrance Elite 5 CHIRP GPS. Preloaded maps with Navionics chip option. Comes with the HDI transducer in great condition. Has CHIRP and down imaging. Power cable, screen/sun protector, and base mount included. 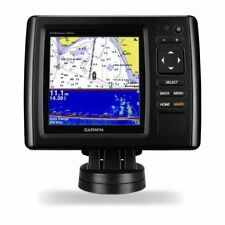 You are buying a brand new in the box Garmin Head unit EchoMap Plus 62cv... Head unit only. with sun cover, and back bracket. Comes with 1 year manufacturing warranty. 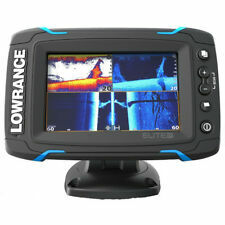 Lowrance HDS-9 Gen3 Fishfinder. Sold As Is. No returns. The unit powers on and works. Condition is Used. Shipped with USPS Priority Mail. È proprio così facile. SplitShot è dotato di un sonar grandangolare, a banda larga, in grado di garantire una copertura doppia rispetto alla maggior parte dei fishfinder, e della tecnologia DownScan Imaging™. "NEW 2019" iBobber Wireless Fish Finder Portable Smart Sonar FISHING AID !!!!!!! IBobber Bluetooth Fish Finder. The iBobber is the smallest and lightest personal sonar depth finder on the market. use Bluetooth Smart (4.0). iBobber is for any angler who wants to catch more fish, by finding them and the features in which they locate. 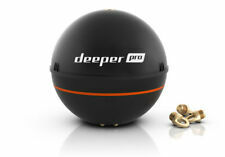 Das kabellose, auswerfbare Deeper Smart Sonar PRO ist das beste seiner Reihe. Sehen Sie, was Sie brauchen, nur durch die Anpassung der Empfindlichkeit Ihres Gerätes. Das Ergebnis sind Echolot Daten von höchster Qualität in einer einzigen, kompakten, drahtlosen Einheit. Es hat dieselbe Größe wie sein Bluetooth Vorgänger, aber ist mit einer Reihe von erweiterten Funktionen ausgestattet. Somit können Sie sogar beim Angeln vom Festland aus auf genaue Echolot Daten zugreifen, was bisher nur auf Bedienpulten von teuren Fischerbooten möglich war. Der Deeper START ist ein sogenanntes Smart Echolot. Der START sendet über eine stabile WiFi Verbindung die Sonardaten auf dein Smartphone oder Tablet. Dazu wirft man den Deeper START einfach mit der Rute aus und kurbelt diesen dann langsam ein. Three years old. Pole Shed Roof Caved in and totalled pontoon boat. Depth finder is fine but no sounding cord or plug in. Deeper Zubehör SET - Flexarm Echolothalter Night Fishing Cover Smartphone Halterung. Verwenden Sie die O-Ringe, um die Smartphonehalterung an den Griff der Angelrute zu befestigen. Auf festen Sitz achten. lowrance hds-12 gen2 touch. Condition is Used. Comes with flush mount screws installed and cover. No cables, transducers or mounts. What you see in the pictures is what you get. Unit works great. No problems at all. HOOK2 unit. Just plug it in and fish. It doesn't get any easier. Transducer Type: SplitShot. Transom mount transducer. 5" Color LCD with 200 Watt, 200 KHz Sonar, 500 Watt DownScan, and Plotscreen (No Mapping). Power/data cable. Three Mounting Options. What's Included In The Box?. Voice prompts (e.g. ""Turn right in 500 ft.""): no. Tilt/swivel mount. High-sensitivity receiver: yes. XM WX Weather & Radio for U.S. & Canada compatible: yes. THE WORLD'S MOST VERSATILE WIRELESS SONAR. NEW AND BOXED - BUT OPENED TO PHOTOGRAPH CONTENTS. CMIT ID: 2016DJ3097. FCC ID: 2AHKO-PRO. STRIKER Plus 7sv. 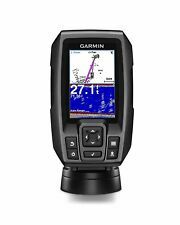 Garmin CHIRP traditional sonar provides crystal-clear images with remarkable target separation. Get nearly photographic images of what passes below and beside your boat with CHIRP ClearVü and CHIRP SideVü scanning sonars. The unit is in excellent condition. Rüsten sie ihr Boot, Kajak oder Belly Boot ganz einfach mit einem Echolot aus. Befestigen sie nun den Deeper am Ende des Auslegearms. Plazieren sie dazu die kleine Kunststoffnase in dem unteren, seitlichen Gewindeloch, und fixiere die Schraube in dem oberen Gewinde. HUMMINBIRD XHS-6-24 "200kHz " SINGLE BEAM TRANS DUCER. THAT USE A 200kHZ TRANSDUCER WITH A 2-PIN CONNECTION AS SHOWN. WIDE 100, WIDE 128, 100SX, 105SX, 400 , 400SX, 405SX, LCR400, LCR400 ID, HDR 200I, HDR 600I, LCR 100I, LCR 100G, OEM-LCR, SR ID-600, ULTIMA, HBL201G, LCR-W, WIDE W, PLATINUM ID 600, TCR ID 10 AND MAYBE MORE OLDER MODELS TOO. The TotalScan™ transducer features multiple mounting options and is fully compatible with displays featuring integrated StructureScan® HD, like Lowrance Lowrance Carbon, HDS Gen3, and Elite Ti models, Simrad NSS, evo2, and NSO evo2 via the SonarHub™ Sounder Module. (if you are sensitive to smoke). (ITEM PICTURED IS EXACT ITEM YOU WILL BE RECEIVING) (620) B.
HUMMINBIRD XT-6-TB-90 "TRI-BEAM"BARETRANSOM MOUNTED TRANSDUCER WITH. (if you are sensitive to smoke). FREE Trial! ITEM PICTURED IS EXACTLY WHAT YOU WILL BE RECEIVING. (if you are sensitive to smoke). Unique portable sounder contains a dry cell and a transducer inside. FOR DIVING OR SNORKLING SPEARFISHING OR FISHING. sounding range: 0.6 ~ 80m. 50m WATERPROOF. - Waterproof: 50 mts. - Min Depth: 0.60 mts. 20' ft cable with angle-lock, 200 kHz angle lock connector, 16 degree cone angle, high speed hardware. (if you are sensitive to smoke). Demo unit, never mounted or taken outside. In PERFECT condition, as you can see in the pictures. LOWRANCE ELECTRONICS. 50 kHz with 29° beam width. 200 kHz with 12° beam width. Up to 900 m (3000 ft) range at 50 kHz. Open Box Item. HumminBird LCR 2000. I think the transducer was in bag with its parts, pic 5, there may be a nut or bolt missing but looks complete. Wire never been hooked up, screen thumbnuts still in plastic and plastic still on screen. YOU WILL RECEIVE ONLY WHAT YOU SEEIN THE PHOTOS ABOVE. Down Imaging Sonar. Depth Capability -320’ (DI) & 600. Rest assured that your confidential information will remain as such, confidential and secured from unauthorized use. We are here to help you with anything. Cords plug directly into the mount, allowing you to quickly install and remove your device from power and mount. Transom and trolling motor mounts included.The Garmin CHIRP Difference. The built-in sonar capabilities of echoMAP 94sv include CHIRP sonar, the most sophisticated sonar technology available for the fishing and boating public. 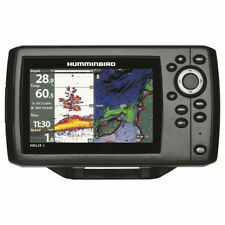 Humminbird Hummingbird LCR 4 x 6 Monitor Only.